When you see The Messenger for the first time, your reaction will probably be that you’ve seen it before. 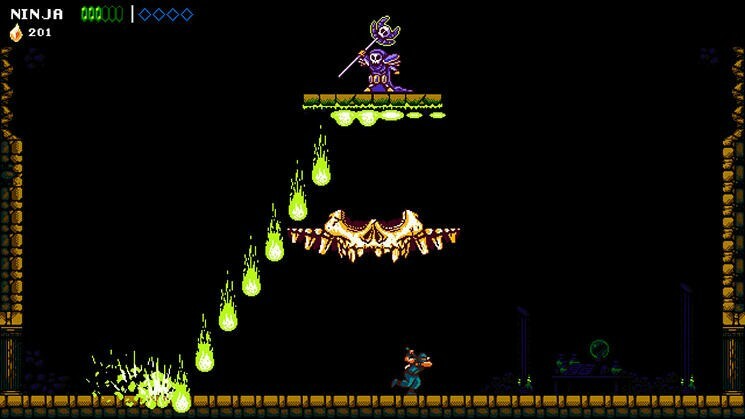 That’s because it unabashedly recreates the classics from the 8-bit and 16-bit eras. The approach is a nostalgic bomb, taking plenty of inspiration from Tecmo’s NES classic Ninja Gaiden. 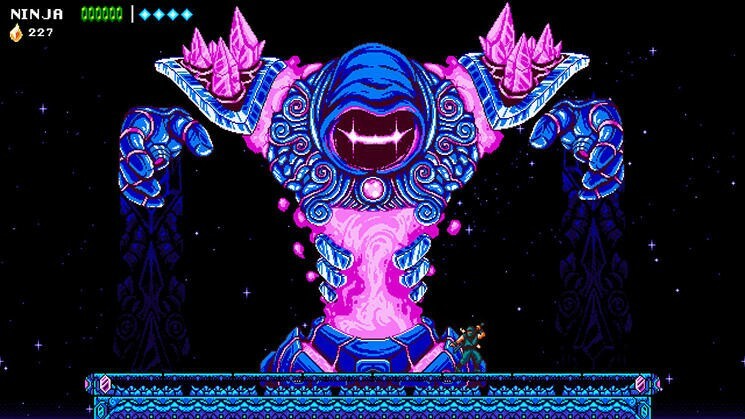 During a 30 minute demo at E3, I learned from Sabotage Studio that The Messenger proudly wears its inspirations on its sleeve. The game even mentions Ninja Gaiden about 5 minutes in. But don’t call The Messenger a ripoff, because it blends modern ideas with old school charm into what is a surprisingly deep and funny experience. 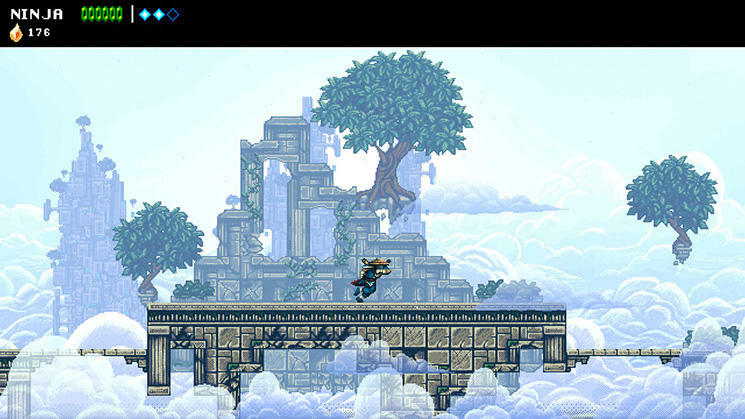 The Messenger begins as any epic does: A young hero is in the midst of training when an ancient threat comes back to destroy the world. 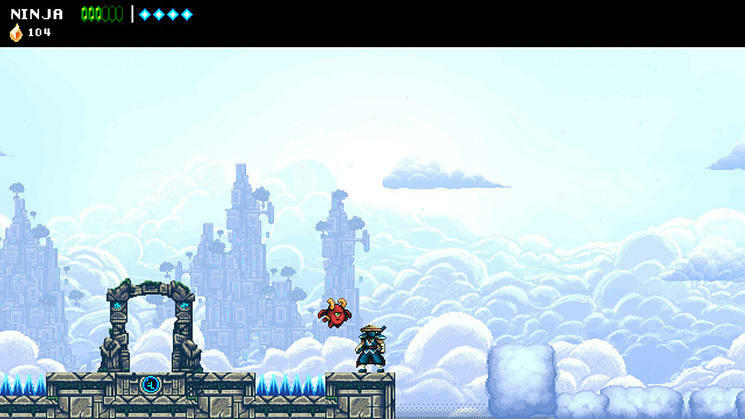 In order to restore peace, the messenger is tasked with delivering a scroll to a temple at the top of a mountain. Players then take control of the main protagonist, who traverses through a beautiful 2D world full of demons and treacherous terrain. But something funny happens during the messenger’s journey: he encounters time portals, and when jumped through, the game switches between 8-bit and 16-bit. 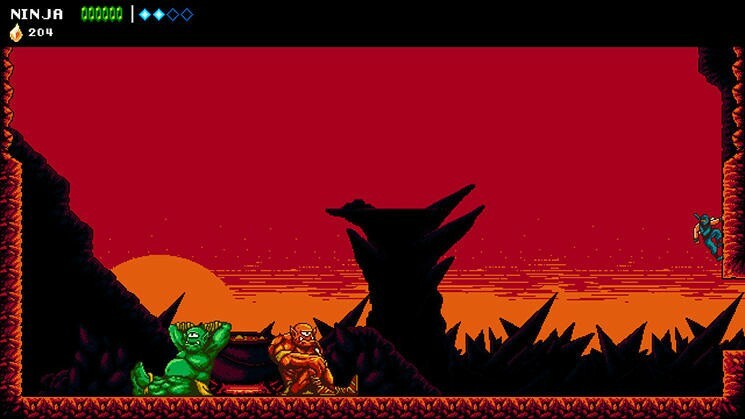 When you’re in the 8-bit version, graphics and music are paired down; the 16-bit version is more vibrant, and just so happens to be centuries into the future. It’s a clever way to distinguish time, and it’s a mechanic that’s incredibly important to the narrative. Not only that, but jumping back and forth through time will allow players to backtrack and solve puzzles, making the game much more complex than it otherwise seems. 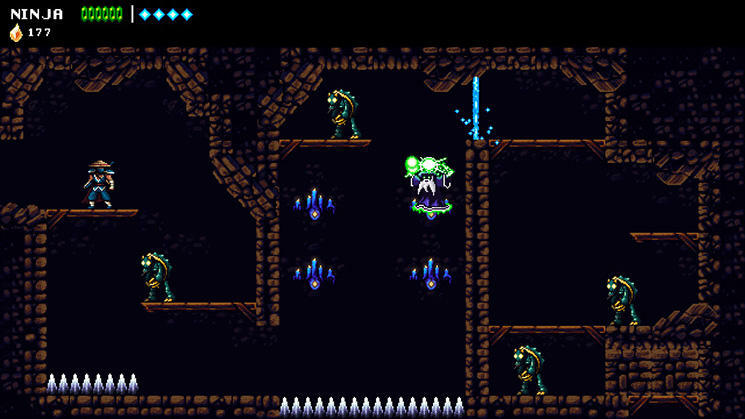 Sabotage Studio said The Messenger will feel a lot like Ninja Gaiden in the beginning, but it will quickly evolve into a Metroidvania-style game, with the ability to upgrade weapons, abilities, and more. As you upgrade the messenger, you’ll regularly stop into a shop run by a sarcastic proprietor, who you’ll find really loves hats. Yes, hats. As for the gameplay, The Messenger is hard but fair. Jumping between platforms and killing enemies seems straightforward enough, but getting your timing right takes practice. It feels completely familiar for anyone has played a 2D platformer, but it’s enough of a challenge that you won’t be able to fly through it without dying at least once. When you do inevitably die, you’ll be joined by a little demon who mercilessly mocks the fact that you died. Sabotage Studio said the idea is designed particularly for streamers and their audiences. It feels like a very distant cousin of Shadow of Mordor’s Nemesis System, where the game dynamically comments on the player’s abilities. That’s something I noticed was present throughout my time with The Messenger: it never takes itself too seriously. Sure, the plot is cliche and it wouldn’t exist without games like Ninja Gaiden and Castlevania. But it manages to stand out in its own right through tight gameplay, cool mechanics, and some twisted humor. 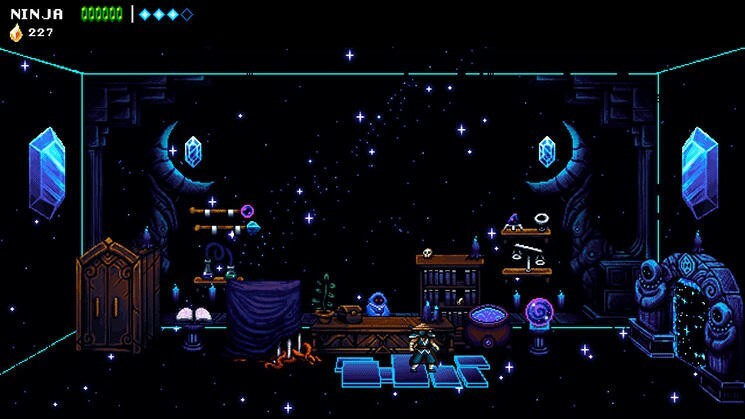 Currently, The Messenger is slated for a summer 2018 release on PC and Nintendo Switch.